As medical cannabis becomes more widely accepted and used in California, there have been calls for increased safety standards in the unregulated industry. 420 Cannabis Evaluations Clinic, a San Jose medical marijuana doctor’s office, explains how a few visionaries are changing the face of modern medical marijuana. 420 Cannabis Evaluations Clinic highlights new innovations in cannabis safety assurance. Medical marijuana has been legal in California for 16 years now, but the industry is still largely unregulated by the state. Concerns for safety and a desire to know exactly what is in the medicine provided by collectives and dispensaries have led to a boom in safety inspectors and testing labs. According to the LA Times, dozens of marijuana testing labs have opened in the past two years, but since the labs are as unregulated as the dispensaries, there are no uniform safety standards. San Jose medical cannabis doctor 420 Cannabis Evaluations Clinic highlights some of the leading innovators who are working to create uniform standards in the absence of regulatory input. Halent Laboratories, located in Davis, is one of the best-known and most highly regarded medical cannabis testing labs. Founded by chemists at UC Davis, Halent tests medicine for 15 cannabinoids and 8 terpenes, as well for as molds, toxins and pesticides. Halent has developed a method to match compounds found in various strains to the relief of specific illnesses, helping patients identify the best strains for their conditions. Another leader in cannabis safety certification starts at the source. Clean Green Certified is an independent third-party medical marijuana inspection program that certifies grow operations based on criteria modeled on USDA standards for organic certification. Growers must undergo an annual legal compliance review, on-site facility inspection and thorough crop examination. Clean Green medicine is an excellent option for patients who are concerned about the health effects of chemicals and pesticides. The trend towards self-regulation has another benefit for patients, note the San Jose marijuana physicians: it separates the dispensaries that are truly devoted to providing nothing but the best medicine to patients from the dispensaries that might not prioritize patients’ health concerns. Harborside Health Center, located in Oakland and San Jose, is the nation’s leading cannabis dispensary. All of the cannabis flowers and concentrates accepted by the medical marijuana dispensary are tested for safety and potency. Harborside is also one of only a few cannabis clubs to carry high-CBD medicine, which offers healing benefits without the “high” feeling associated with THC. During the initial evaluation session, 420 Cannabis Evaluations Clinic doctors can explain the new innovations in quality assurance, and help guide new patients towards medicine that has been thoroughly tested and certified. 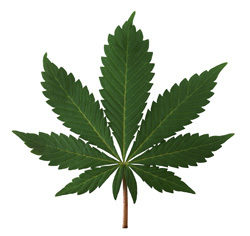 420 Cannabis Evaluations Clinic is a San Jose marijuana evaluations clinic. They are dedicated to assisting individuals in need of alternative medicines for their chronic ailments, and have physicians on hand to evaluate the needs of their patients and to determine whether their patients are eligible for a medical marijuana card. 420 Cannabis Evaluations Clinic is dedicated to providing deserving individuals with access to medical marijuana. After being evaluated by their marijuana physician and receiving a marijuana recommendation, a medical marijuana card will provide patients with safe, legal access to medical marijuana. Medical marijuana has been safely prescribed to patients suffering from a variety of ailments, alleviating the pain associated with their illness and providing a better quality of life. To consult with a San Jose medical marijuana doctor and obtain a medical marijuana card, make an appointment with 420 Cannabis Evaluations Clinic at (408) 471-6685. The San Jose medical marijuana doctor’s office is located at 345 East Santa Clara Street, Suite 108, San Jose, CA 95112.